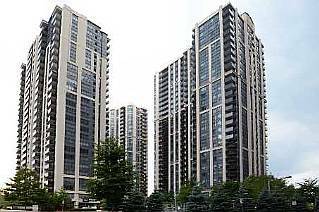 The Broadway I & II condos are located at 155 and 153 Beecroft Road in the Yonge and Sheppard area in North York. These two towers, which stand 36 storeys high, were built in 2003 by Menkes. The great feature about these towers is the direct underground access to the Sheppard Subway! The Broadway Condos are located near the North York Arts Center, Empress Walk, Sheppard Center, Yonge Street Shop, Restaurants, Coffee Shops and the Toronto Public Library. A perfect building for first time buyers or investors. The Residents of The Broadway condos can enjoy the 24 hr concierge and security system, indoor pool, rec room, gym, sauna, guest suite, visitor parking. If you are interested in buying or selling at the Broadway, contact me.